Robert Glass FAOI graduated in Optometry (Ophthalmic Optics) from DIT, Dublin Institute of Technology in 1983. He then moved to Manchester and worked for both George Davis Opticians and Miller & Santhouse Opticians, 1983 – 1986. During that time he worked part time in the Ophthalmology Dept. Walton Hospital in Liverpool and the Manchester Royal Eye Hospital, gaining valuable experience in all aspects of clinical optometry including special interests in Glaucoma and Diabetic retinal photography. In 1987/88 he spent six months travelling the world and worked as a Locum Optometrist in Sydney, Australia. In 1988 he realised a personal ambition and qualified as a private pilot. Robert opened his first practice in Cheetham Hill, Manchester, 1989. 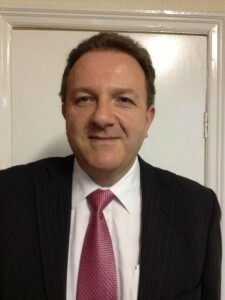 He currently runs five practices in Manchester, Oldham and Liverpool. Past Chairman of the Northern Optometric Society and has served on the Manchester, Salford and Liverpool Local Optical Committees. He is accredited with the Manchester Royal Eye Hospital as a Glaucoma referral refinement practitioner, and has additional accreditation in Cataract assessment, Dry eye treatment, Contact lenses, Children’s eye care, Diabetic eye care and Vision Therapy/Behavioural Optometry. He is married to a Dentist and has four children.